A digital world is coming. Use tomorrow’s IP to win control today. Your key question: Where will the ball be tomorrow? Be strategic: Capture the IP you will need to be before your competitors own it – control your own destiny and parts of theirs. That’s why Expandiverse IP was named Patents From the Future™. 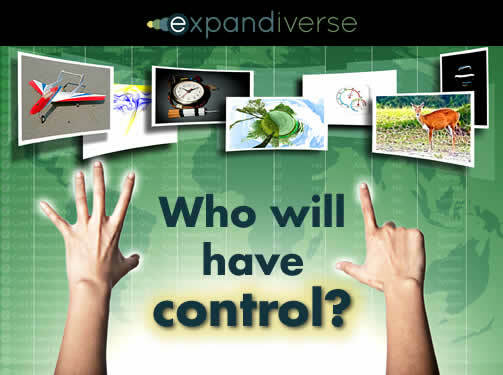 Use Expandiverse IP to position yourself in the future, perhaps even to control it. Leap 5 to 30 years out but see how to build it now. Then build the parts you want in years, not decades. Public (the inventor’s ideal): The inventor is willing to sell all Expandiverse Technology IP at a discount to an entity or individual that represents the public who intends to provide this free or at low cost to encourage wide use, so large advances are quick and easy for everyone to make. Accelerate this: Do, build and sell what you want. Take markets by using new tech others can’t use. Use the IP to develop Patents From the Future. Erect barriers. Keep others out. License the IP for revenue: Three projections are available for different licensing models (low, high, and transformative). These range from $250 million to billions in licensing revenue. Use IP licensing to structure tomorrow’s digital world: Eight example scenarios are available to show how different industries might expand their business models by controlling the IP and licensing. Some of these include tech, telecom, entertainment or the public. Own this future. Create and sell its products and services now. Cherry pick it, or bring it all to life. License other vendors: Your terms, your revenues, your business model. Expandiverse IP has been created. These innovations are in the form of property. Competitors in the marketplace can buy this IP and keep it from you. To remain competitive in these areas, you may need to embrace and engage Expandiverse IP. Upside opportunity because Expandiverse IP exists: You step in, make this future yours (from non-exclusive and inexpensive, to taking control). You become an “insider” who knows how the Expandiverse develops, and may include licensing revenue opportunities. You control your future. Maybe others? Downside risk because Expandiverse IP exists: If you skip this any competing industry or competing company can step in, claim this future with an exclusive license or IP purchase. They might erect barriers, use their legal weapons to shut you out – making your future smaller until about 2031. “The Future” is here and its IP is not yours – unless you acquire rights before this is gone. If you don’t have rights to this future someone else will. They’ll decide your future in this digital world. Share the post "The war to own innovation: Own “The Future”"